Australian cricket supporters are gutted, after India delivered a final-Test thrashing of the Baggy Greens to secure the Border-Gavaskar Trophy. Never before had India recovered to win a home series of four Tests or more after losing the opening encounter, so Virat Kohli’s side also made history with their convincing eight-wicket win on Wednesday. Unlike their New Zealand counterparts, who saw their team lose a Test series to South Africa this week, Aussie punters don’t even have the weather to blame. They started this year’s Border-Gavaskar Trophy looking strong, with a stonking 333-run victory in Pune. 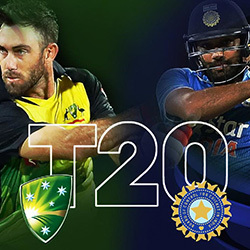 The wheels started to come off in Bangalore, with accusations of cheating levelled against Aussie skipper Steve Smith, and the acrimony between the teams and their supporters rising to even higher levels than usual. 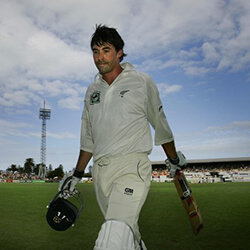 With only 187 to chase in the second innings, the Baggy Greens fell short by 75 runs, levelling the series. Even though the third Test in Ranchi ended in a draw, with Australia still batting heroically in their second innings on day five, India’s single-innings score of 603 for 9 declared was a signal that the world’s top Test side wasn’t rolling over. Which they proved even more emphatically in the final Test in Dharamsala, bundling Australia out for 137 in the second innings and leaving themselves only 105 runs to chase. They won by a convincing eight wickets to take the series 2-1, in another match marred by cheating allegations. This time, it was Smith caught on camera mouthing the accusation, after a disputed referral of Monday’s catch by Murali Vijay that dispatched Josh Hazlewood and ended Australia’s second innings. 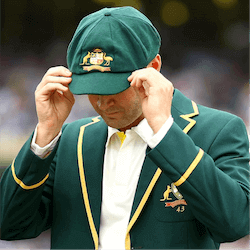 The sting of losing a series against traditional rivals is bad enough, but the loss also has financial implications to rub salt in Australia’s wounds. At the start of the Border-Gavaskar Trophy, Australia was second in the ICC World Test Rankings to India. South Africa’s win in New Zealand, coupled with the Baggy Greens’ loss in India, allowed the Proteas to leapfrog Australia into second place, just before the 1 April cut-off of the 2016-17 championship. Which means the South African team scoops the $500,000 second prize, while the Baggy Greens have to be content with $200,000. 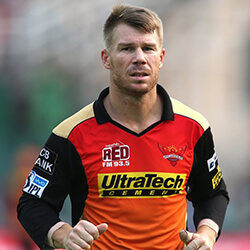 David Warner and Steve Smith have been officially named in Australia’s World Cup team after both had been serving year long bans for tampering with balls. Smith, who was the …. The Melbourne Stars Australian Twenty20 cricket team are once again on the hunt for a new coach. This is as a result of yet another international from New Zealand choosing …. Australia have beaten India by 35 runs for the fifth day one international played in Delhi, and have completed their comeback from 2-0 down and won the five match series …. Jason Roy and Joe Root claimed centuries for their team as the English sailed to a 171 run win for their only warm-up game before the start of the one …. 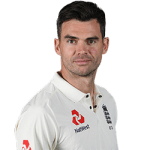 James Anderson claimed four wickets during the final session to push the first Test in England’s favour for day one against the West Indies in a match played in Barbados. ….